Metro problems slowed down shoppers as they shuttled around the D.C.-area for Black Friday. The Green, Red, Orange and Blue lines all saw delays. The issues started at a little after 6:30 a.m., when a signal problem in College Park caused delays for Greenbelt-bound riders. At about the same time, a train broke down at the Capitol South station, slowing everyone on the Blue and Orange lines. Crews fixed the College Park signals within 20 minutes, but about 20 minutes later they had to start working on a track problem there. Trains began single tracking between College Park and Greenbelt just before 7:30 a.m. Shortly after 8 a.m., a signal problem at Fort Totten spared the Green Line but resulted in longer wait times for Red Line riders heading toward Shady Grove. 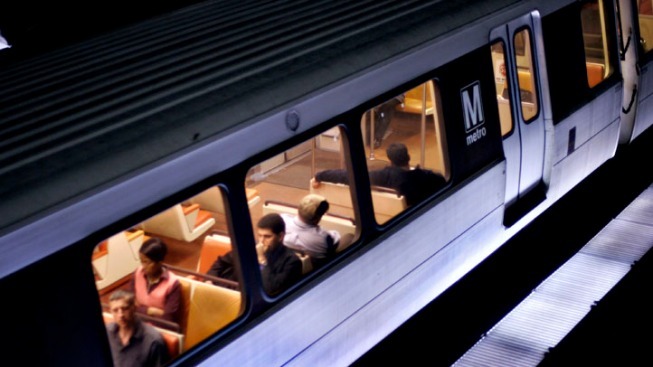 For the Thanksgiving weekend, Metro is taking a break from the scheduled track work that normally affects the system. The only scheduled delay between Thursday and Sunday is on the Orange Line. Crews will test signals all along that line Saturday. By 9:30 a.m. Friday, all lines but Green had cleared. Crew worked on the Green Line, which serves District shopping hub DC USA as well as the Mall at Prince George's, until 10:30. After that, Green Line delays remained for another hour. By 11:30 a.m., Metro had cleared all issues.